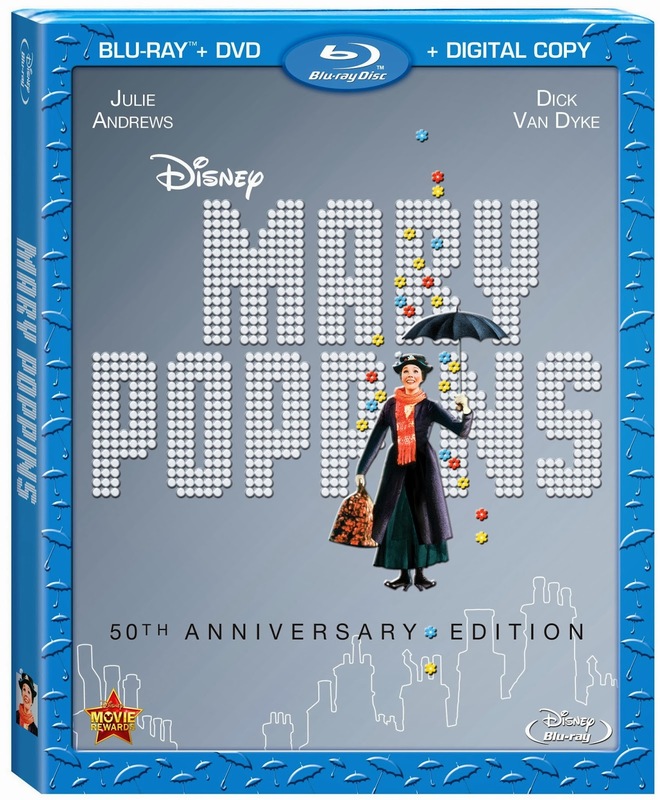 Next year marks the 50th anniversary of what is considered by many the magnum opus of Walt Disney, Mary Poppins. It is without a doubt one of the most timeless movies ever made that is capable of crossing generational gaps and bringing people closer to each other. It’s touched so many over the years, that few have not heard of it, seen it, or sung its melodies. 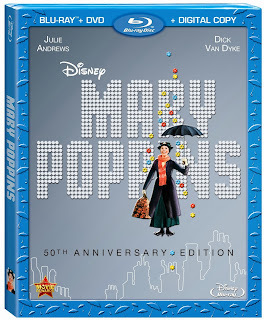 In preparation for this momentous event, Disney has released the Mary Poppins 50th Anniversary Edition Blu-ray. Now if you’re looking for a review of the movie you can listen to Episode 9 of our podcast or read a review by Ryan. Looking back the 40th Anniversary DVD set was a fantastic set in it’s own right that it’d be very hard to beat. It’s clear from this Blu-ray edition that Disney recognizes that. Other than the upcoming film Saving Mr. Banks, there has been very little new content put out surrounding the movie in these last 10 years. That is why the content on the Blu-ray consists primarily of everything you found in the 40th Anniversary DVD collection. The big plus is that all of it has been digitally enhanced in some capacity, and is now subtitle capable. The one piece of new content is a piece called “Becoming Mr. Sherman” that is narrated by Jason Schwartzman and Richard Sherman. It is a discussion about how Schwartzman collaborated with and learned from Sherman in order to understand how to play the role of Richard Sherman in Saving Mr. Banks. Together they listened to original recording sessions from the movie. What I found most important was how positively Richard Sherman speaks very about the movie. He was there as a consultant for most of the scenes shot in the script planning room. Some of which he mentioned touched him emotionally as they recreated a part of his life that is very important to him. The other new content is called “Mary-Oke” which consists of karaoke versions of some of songs from the movie. In these the lyrics are animated as they have been for similar karaoke pieces done for other Disney Blu-ray releases. This leads me to my one disappointment for this Blu-ray, there is no Disney Intermission feature - something you’d expect to be on such a momentous Blu-ray release. And these karaoke pieces would have been the perfect choice for the content for that feature as it’s been done for prior release of other movies. I could write a summation telling you how much you’re going to love this Blu-ray and want it for your collection. But the truth is, if you’ve spent the time to read this you’re probably already planning to purchase it or already have. Having the movie in HD will allow you to watch it in the best possible quality you ever have over any television or theater. And having already seen Saving Mr. Banks twice, I can tell you that you’re going to want that available to you as soon as you get home from the theater.